Wired 11.12: "Hope Is a Lousy Defense." "Hope Is a Lousy Defense." 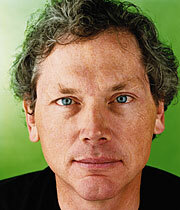 Sun refugee Bill Joy talks about greedy markets, reckless science, and runaway technology. On the plus side, there's still some good software out there. There are geeks and then there's Bill Joy - 49-year-old software god, hero programmer, cofounder of Sun Microsystems and, until he quit in September, its chief scientist. Beginning in 1976, he spent zillions of hours in front of a keyboard, coding the now-ubiquitous Berkeley strain of the Unix operating system; then he godfathered Sun's Java programming language and helped design servers that were the Internet's heaviest artillery. In the early 1990s, he kept his job but bolted Silicon Valley, "leaving the urgent behind to get to the important," he says. In 2000, he wrote the Wired cover story "Why the Future Doesn't Need Us," a Cassandra cry about the perils of 21st-century technology and a striking display of ambivalence from a premier technologist. Now, at home 8,000 feet up in Aspen, Colorado, Joy talks about building a technological utopia while worrying about a techno-apocalypse. WIRED: We're tempted to say, "End of an era." JOY: I don't see it that way. I try to work on things that won't happen unless I do them. Not all those things are strongly advantaged by my being at Sun. Still, 21 years at Sun. Did you get a gold watch? They gave me a clear plastic globe or something. And now Scott McNealy is the last founder left, right? I mean, left at the company. We're still there in spirit. There are an awful lot of good people at Sun who have been there a long time. Sometimes, founders leaving is a good thing. You start to get in the way. No doubt, but you were pretty loosely tethered at the best of times. I've always said that all successful systems were small systems initially. Great, world-changing things - Java, for instance - always start small. The ideal project is one where people don't have meetings, they have lunch. The size of the team should be the size of the lunch table. Did I say that? Well, maybe. But innovation is supposed to be dead. Nonsense. Moore's law still has at least a decade to go with conventional silicon. That's a factor of 100 in performance, which means that with some work to make the algorithms run faster, we've got maybe a factor of a thousand improvement still to come. If you give me machines that are a thousand times as powerful as today's at the same price, I ought to be able to do something radically better. Thirty years ago a supercomputer was 80 megahertz. Now a personal computer is 2 gigahertz, and yet the software isn't 25 times better. I just got a new Mac with two 2-gigahertz processors, 8 gigabytes of memory, and a half a terabyte of internal disk. Good for Apple. So what? So you have the ability to hold a huge simulation all in memory - a database becomes a data structure. Add 64-bit computing and I can do breathtaking visualization. But that's not a space I'm going to go into, by the way. People's expectations in three dimensions are so high. On the other hand, existing operating systems, especially the ones provided by the reigning monopolist here, are deeply flawed. So there's enormous opportunity. Is that something that you'd want to take on? Jini networking technology was a partial attempt. Rather than writing distributed applications, you write a program - the whole system is an application program. But Jini was a solution to a problem that people didn't know they had. Reliable and secure systems. We all know that now - 4,000 known Microsoft viruses later, The Wall Street Journal says. And yet you've been famously cool about Linux. My goal is to do great things. If I do something great, maybe it'll beat Microsoft. But that's not my goal. I find Windows of absolutely no technical interest. They took systems designed for isolated desktop systems and put them on the Net without thinking about evildoers, as our president would say. Still, a lot of people have lost a lot of money over the years shorting Microsoft. We're just lucky that no one has sent around a virus that erases people's disk drives. I sure hope that doesn't happen, but it's not exactly hard to imagine someone doing it. And hope is a lousy defense. At last, a warning about impending technological disaster. Are you more or less worried than when you wrote "Why the Future Doesn't Need Us"? My biggest worry then was that people weren't paying attention. Obviously 9/11 changed that, but I'm not sure we've learned the right lessons. We can't go out and rid the world of evil, as our president seems to think. These technologies won't stop themselves, so we need to do whatever we can to give the good guys a head start. And we still don't get it about epidemics. Even SARS was just a TV story about a bunch of people wearing masks. But the future really does need us, right? Someone has to write the software. Well, that was Wired's title, not mine. But I stand by everything I wrote. I just wish people reading it on the Web could tell more easily when it's me speaking and when I'm quoting someone else - the Unabomber, for instance. Such is the fate of the engineer: hoist by my own device. You've talked about that story as "public penance." For what? Success. I benefited a lot from earlier generations' sacrifice in setting up the system so I could be as creative as I wanted to. It was a part of me giving back. Did the criticisms of it affect you? Not really. Very few of them were well-considered. It seems that people don't really want to spend much time thinking about this stuff. The most interesting criticisms focused on what needs to be done. Which you didn't write about. If I had proposed a set of solutions, it wouldn't have been as striking. Shortly after the article came out I did publish a short list of suggestions as an op-ed in the Washington Post . I wish it had received more attention. You did once say that we shouldn't "let the future just happen." Haven't laissez-faire and free markets won out over planned economies? Our problem is no longer "going faster," getting to the future as fast as possible, but rather dealing with limits - limiting our own greed to avoid disaster in the environment and limiting what rogue individuals and states can do. Market mechanisms don't address these problems. Things that aren't accounted for in the cost equations - especially catastrophic events, the value of our survival - don't get dealt with. Are you any more at peace with what you see coming? Not when the forces at play are so powerful that we have such strongly negative possible outcomes. Do we care whether we get a police state without civil liberties because the government's "protecting us" from terrorists? I think we do care. Are people paying enough attention to stop it? I don't think so. There must be something to be cheerful about. How about, there's so much good software that can be written for the machines that we have now, let alone those that are a hundred times faster. When Moore's law ceases to be true, maybe around 2014 - that would be a good time to retire. Whatever happened to the book you were writing to follow up the article? I've written two manuscripts. The first was a wake-up call - that's obviously not the book we need anymore. The second was prescriptive, and the problem is, I'm not satisfied with the prescriptions that I have. You don't get two shots at something like this, so I'm holding off. Meanwhile the markets continue to pour money into the fields that worry you - genomics, nanotechnology, and robotics. Because they don't have to pay the bill. You mean the damages if something goes wrong? Right. But I'm afraid we're not going to have this discussion until there's a really big accident, and maybe not even then. Assuming any of us are still around to have the discussion. A cynic would say that your Wired story made noise but the result was you in an Audi ad with "Jini" and "Java" painted on your face. As long as the Bush administration is in power, nothing's going to get done about any of this. The liability is going to get transferred to the next generation, like everything else. But you've said aspects of the war on terrorism infringe on civil liberties. Aren't you calling for something similar with respect to technology? I'm not saying the government should do it. Centralized strategies - things like Admiral Poindexter's Total Information Awareness program - don't work. What I'm saying is "physician, heal thyself." People in the various scientific communities have to police themselves. Like the Russell-Einstein Manifesto from 1955 - where we get the phrase "weapons of mass destruction." I certainly think a Hippocratic Oath for scientists would be useful. And I think an essential part of getting control of technology will be for international organizations to take a lead in promoting ethical scientific behavior. The Pugwash organization's work on sensible nuclear policy is a strong example. But what will get the scientific community to accept being told what to do? Catastrophe. We have scientists saying they want to publish pathogen gene sequences on the Net. One consequential accident and we'll want to throw those researchers in jail. What are we in such a hurry for? Easy for you to say. You live in Aspen. We don't need a lot of economic growth to address the problem of the world's poor. We put subsistence farmers out of business because that's our choice. Clean water would do more to alleviate disease than high tech medicine. Downsizing expectations? That's pretty pessimistic. I'm not a pessimist. Democracy is about individuals giving up the ability to do whatever they want so that everybody can have some rights. We may have to give up some of the power of high technology if we want to keep our civil liberties. And that is a choice, whether we realize it or not. Tell that to the happy workaholic hordes of Silicon Valley or Wall Street. Hey, I quit my job. All right, you win. What are you doing for fun these days? I'm figuring out a meditation wall for my apartment in New York. Eight feet high by 12 feet wide, with an array of overlapping rear projectors, each with a tiny Linux box and connected by gigabit Ethernet. I would love to get 72 dpi but will probably settle for less - about 30 megapixels for the whole thing. [Former Walt Disney Imagineering guru] Bran Ferren and Danny Hillis [inventor of massively parallel supercomputing] at Applied Minds are building it for me. It's very bright. Given that it's in an apartment, the main limitation will be power availability. I'll also need some great 30-megapixel images. Any ideas? I can always put a picture of stars on the wall. In Manhattan, you can't see them - except, of course, in a blackout. Facing tough times, Sun looks for a new source of cash. Introduced by Bill Joy and a team of Sun engineers in 1995, Java was hailed for its ability to run software applications on any platform. Half programming language, half operating system, Java has lived up to its billing - breathing life into Web browsers, bridging incompatibility gaps, and, lately, giving us videogames on our cell phones. What can't Java do? For starters, make Sun any real money. After eight years, the only significant income the company gets from Java is from licensing - a mere penny or two of every dollar of Sun revenue. From the beginning, Sun intended Java to be primarily a loss leader for hardware. The more Java-enabled Web sites there were and the greater the number of programmers using Java for ecommerce software, the bigger the (perceived) need for Sun's high-end Web servers. The company made the decision not to sell Java by itself for fear of cutting into server sales. For a while, this strategy worked fine. In the late '90s, Java helped sell untold Sparc servers - untold because Sun's not saying. But then Dell came along and cut Sun off at the knees with cheap servers running Linux software. IBM and BEA Systems, meanwhile, latched on to Java and sold it in the lucrative market for application server software, which helps link computers to backend databases over the Web. Today, those companies own a majority of the $3.9 billion annual business. "When Java hit, it was the greatest thing since canned beer," says John Rymer, a vice president at Giga Information Group. "Sun began with the upper hand, but it lacked a software strategy that was worth a damn." Now, with its expensive servers out of vogue and revenue half of what it was a few years ago, Sun is trying to make Java pay off. That's why the company is jumping into the Java-based application market that it shrugged off in the late '90s. The strategy: price war. Sun wants to do to IBM, BEA, and Oracle on the software front what Dell did to Sun in hardware. Under the fancy label Java Enterprise System, Sun has created a Java-based software package - Web server applications, email management, ID authentication - that it's pushing to the corporate world at the low, low price of $100 per employee. Jonathan Schwartz, Sun's executive VP of software, claims the fee (a fraction of what market leaders charge) will make Sun "the Wal-Mart of software," winning in market share what it loses on price. Because no Sun strategy is complete without an anti-Microsoft component, the company has reassembled a Java desktop package - a Mozilla browser and StarOffice applications - also priced at $100. Will the new approach work? Hotels.com director of architecture Brad Schneider likes the pricing scheme for the Java Enterprise System, but his bosses are freaked out about buying from a company they think could go under any day now. "People talk about Sun like it might have the doors chained," he says. Sun also has a consumer strategy for Java. The company is starting a cell phone branding ploy à la "Intel Inside." Nearly 120 million mobile phones use Java to download games, mostly in Europe and Japan. Sun foresees phone manufacturers and service providers promoting the "Java Powered" tagline to their customers. If the flurry of activity reeks of desperation, well, these are desperate times. Sun's stock is off 95 percent from its 2000 high and its prognosis is somewhere between deathwatch and takeover. "Should we have done this earlier?" asks John Loiacano, VP of Sun's Operating Platform Group. "Of course we should have." Spencer Reiss ([email protected]) is a contributing editor at Wired. Copyright © 1993-2003 The Condé Nast Publications Inc. All rights reserved.